During the holidays, such as Mother's Day, Father's Day or holy celebrations, teachers strive to find unique or new gifts presented to parents from children. Often, teachers use family pictures to create gifts for parents that will be displayed and valued. Using photographs to create preschool family gifts are happily accepted by parents, as many parents simply can't get enough of family photographs. Some ideas for family pictures at preschool include building a family tree and three dimensional art, as well as simple picture frame decorations. Ask parents to provide pictures for this activity, making sure they understand the pictures will be returned in an altered state. The whole family will be represented in this project, including parents, grandparents, aunts, uncles, siblings and anyone else the family would like to include in the photographs. Prepare a tree trunk and either draw the student's name in traceable dots or allow the child to write his own name down the trunk. Cut out the photographs to look like the top of an oak or maple tree with full foliage. Glue the photos to the top of the trunk and present the family tree to the parents. Craft stores have many options for decorative picture frames. 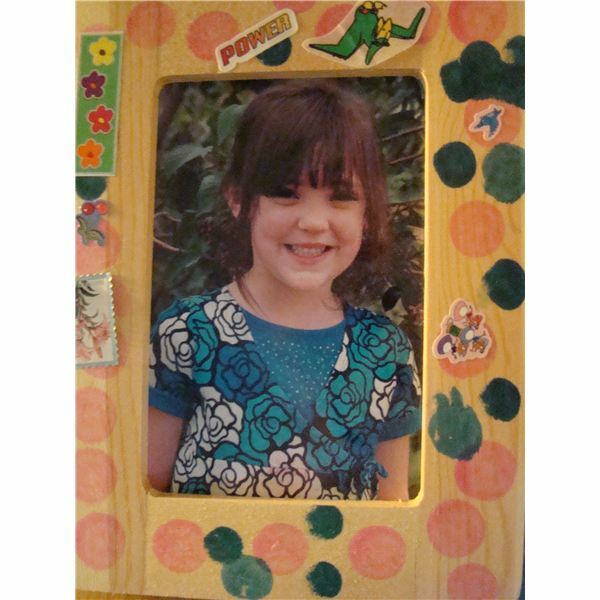 The frame pictured here is decorated with dark and light colored washable bingo markers for children by the child pictured in the frame. Buy frames in lighter wood colors because darker woods are more difficult to decorate with paints or markers. Stickers are another nice addition for frames, especially themed stickers for holidays. Wood decorations are also available for children to paint and glue to the frame with wood glue. Wood glue is clear and washes off the skin easily. Take pictures of the children in the preschool setting. Include siblings if there are any who also attend the same center. Present the completed frame with the picture of the child or children to the parents. 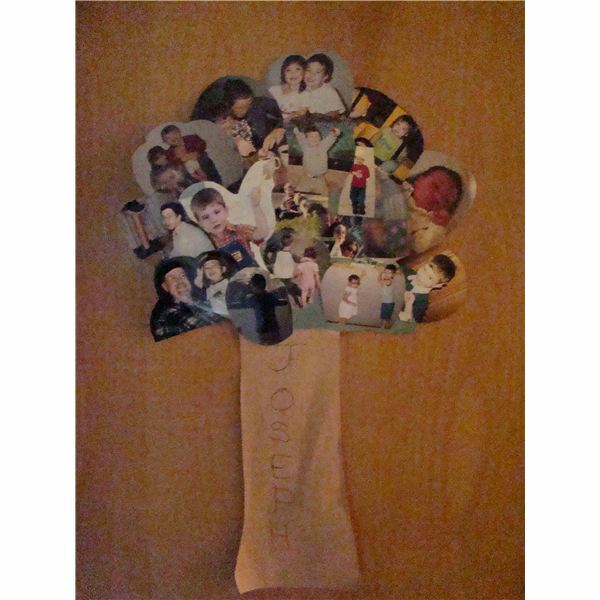 Create a three dimensional family photograph with a family photo. Give the preschool children pieces of fabric, tape or glue, and blocks of wood or foam. Allow the children to wrap the blocks with the fabric and adhere the fabric to the bottom of the block with the tape or glue. Attach the family photo to a piece of cardboard. The family in this image is backed by a paper bag. Cut out the family, lining the head, hands, arms, legs and bodies to eliminate all the background images. The only images left will be the people. Make sure to leave a cardboard or paper bag tab along the bottom of the people, as this will be folded under to attach to the fabric-covered block. Help children run a line of glue onto the folded tab and press the image to the block. Present this pop-up photo as a gift to the parents. These ideas are starters for teachers who are searching for different ideas for family pictures for preschool. Teachers can use the ideas exactly as they are or as part of bigger projects. Children love to help with preschool family gifts, so involve the children as much as possible when creating these projects or embarking on larger family activities. While many classrooms display a family wall for children to view images of families while in school, some of these ideas may be used in place of or in addition to a family wall. Be creative and encourage children to add personal touches to each project, such as decorations or stickers.